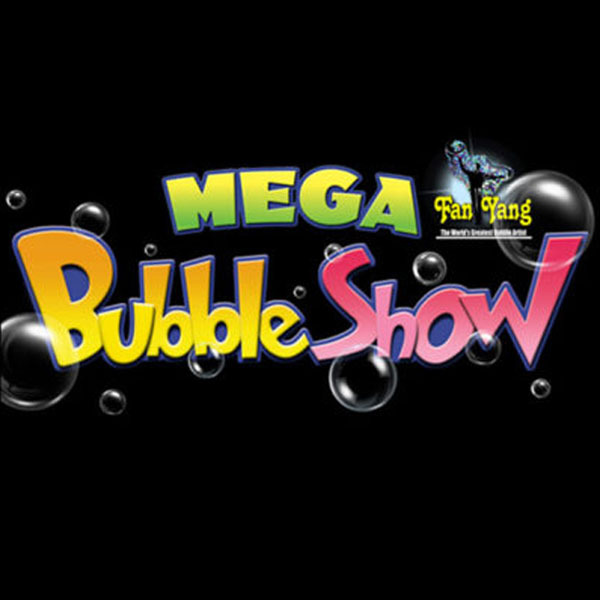 MEGA BUBBLES SHOW! | Love Productions Inc.
Take the journey of a lifetime and step into the “unbubblelievable” magical kingdom of Fan Yang’s Mega Bubble Show! The first and only, interactive stage production of its kind, complete with fantastic light effects, lasers, and jaw-dropping masterpieces of bubble artistry, this unforgettable extravaganza is not to be missed. Hailed by David Letterman/The Late Show, as “The greatest bubble artist in the world,” Fan Yang’s gorgeous and unique creations defy gravity and logic as we know it. He holds (and has broken his own) Guinness World records for the biggest bubble ever blown, the largest bubble wall ever created (a staggering 156 feet! ), most bubbles within a bubble, was able to encapsulate 22 people inside a single soap bubble. Over the past two decades, Fan Yang has explored the fragile and mysterious world of soap bubbles and emerged with a completely new medium, blending art and science to dazzle audiences around the globe. Children and adults of all ages are sure to be amazed, mystified and enchanted!